Standard accessories including control grip, LCD/Audio unit, battery charger, and AC adapter. 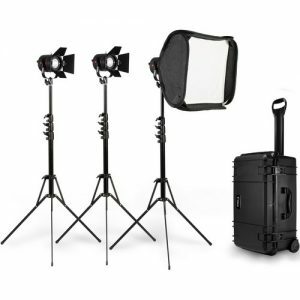 Recommended: We recommend you rent the C300 Mark II Cards and Batteries bundle. It gives you two 64GB CF Cards and two BP-975 (Eqiv.) batteries. 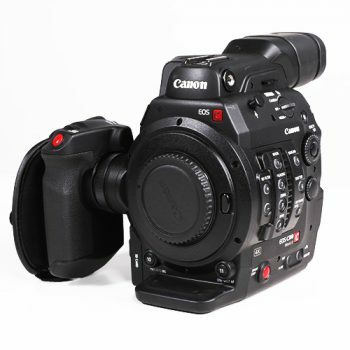 The EF-mount Cinema EOS C300 Mark II Camcorder Body with Dual Pixel CMOS AF features a Super 35mm CMOS. This provides faster and more accurate autofocusing to assist users when operating with small crews. 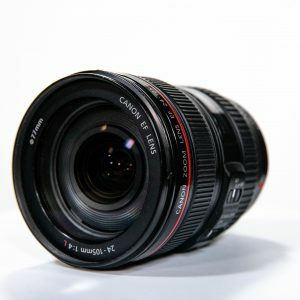 Canon’s Log 3 Gamma supports 14 stops of dynamic range. 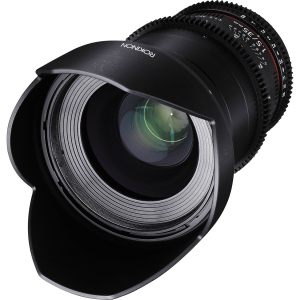 The EF lens mount on the EOS C300 offers compatibility not only with Canon’s existing broad range of DSLR lenses but also with their line of EF-mount CN-E cinema prime and zoom lenses. The Super 35mm sensor is paired with the Canon DIGIC DV 5 image processor, which uses an innovative method of breaking out red, green, and blue data to enable color performance on a level that would otherwise require three separate chips. The camera records up to 4K DCI resolution video to CFast 2.0 cards. For more flexibility to adjust your image during postproduction, the camera also offers Canon’s Log gamma mode, which results in excellent tonal reproduction in the highlight and lowlight regions of an image, and an expanded dynamic range. In terms of connections, the camcorder features two 3G-SDI outputs, timecode I/O, and genlock input BNCs. The body has a modular design that can either be stripped down completely or be built up using the included handle, 4″ rotating LCD unit with full controls, grip, and thumb rest.